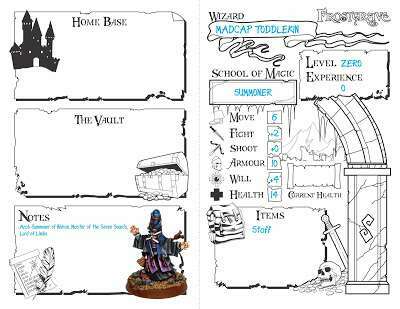 Quindia Studios has a set of free Frostgrave character sheets, done in an “old school” style. Frostgrave is a set of rules from Osprey Publishing about wizard-led gangs searching for loot in a frozen city. Osprey offers a set of printable dungeon tiles for its Frostgrave: Into The Breeding Pits game. Here are a set of houserules for Osprey Publishing’s Frostgrave. Osprey is supporting their popular Frostgrave rules with some paper model ruins for the game. They could of course also be used for a number of other medieval and fantasy games.